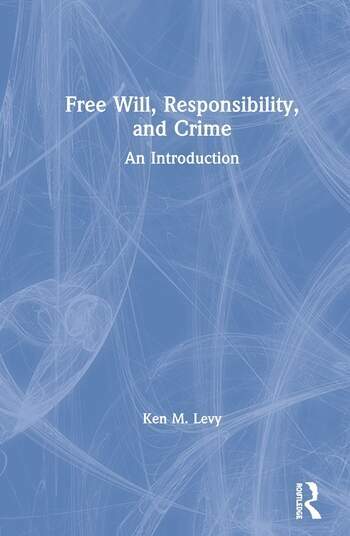 In his book, philosopher and law professor Ken Levy explains why he agrees with most people, but not with most other philosophers, about free will and responsibility. Most people believe that we have both—that is, that our choices, decisions, and actions are neither determined nor undetermined but rather fully self-determined. By contrast, most philosophers understand just how difficult it is to defend this "metaphysical libertarian" position. So they tend to opt for two other theories: "Responsibility skepticism" (which denies the very possibility of free will and responsibility) and "compatibilism" (which reduces free will and responsibility to properties that are compatible with determinism). In opposition to both of these theories, Levy explains how free will and responsibility are indeed metaphysically possible. But he also cautions against the dogma that metaphysical libertarianism is actually true, a widespread belief that continues to cause serious social, political, and legal harms. Levy’s book presents a crisp, tight, historically informed discussion, with fresh clarity, insight, and originality. It will become one of the definitive resources for students, academics, and general readers in this critical intersection among metaphysics, ethics, and criminal law. Presents a unique, qualified defense of "metaphysical libertarianism," the idea that our choices, decisions, and actions can be fully self-determined. Written clearly, accessibly, and with minimal jargon – rare for a book on the very difficult issues of free will and responsibility. Seamlessly connects philosophical, legal, psychological, and political issues. Will be provocative and insightful for professional philosophers, students, and non-philosophers. Ken M. Levy is the Holt B. Harrison Professor of Law at the Paul M. Hebert Law Center of Louisiana State University. He has written chapters for anthologies published by Oxford, Routledge, and Sage. His work in philosophy has been published in such journals as American Philosophical Quarterly, The British Journal for the History of Philosophy, Law & Philosophy, Pacific Philosophical Quarterly, Philosophia, Philosophical Studies, and Synthese (among others). And his work in legal theory has been published in such journals as Arkansas Law Review, Connecticut Law Review, Georgia Law Review, Jurisprudence, New Mexico Law Review, Rutgers Law Review, and San Diego Law Review (among others).